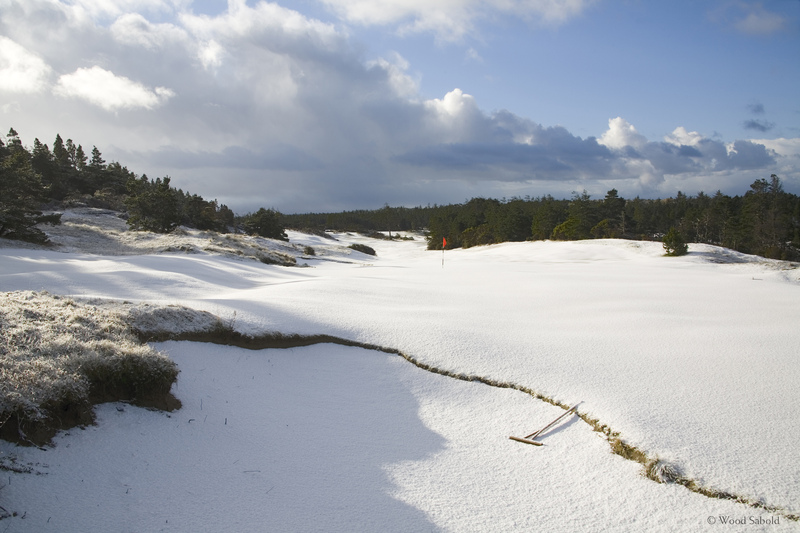 This view from behind the green of the uphill par 5, 16th hole is similar to View 5 but with a rare blanket of snow. Bandon Trails is the third course of the acclaimed Bandon Dunes Golf Resort. The course opened in 2005. Architect, Bill Coore and Ben Crenshaw.